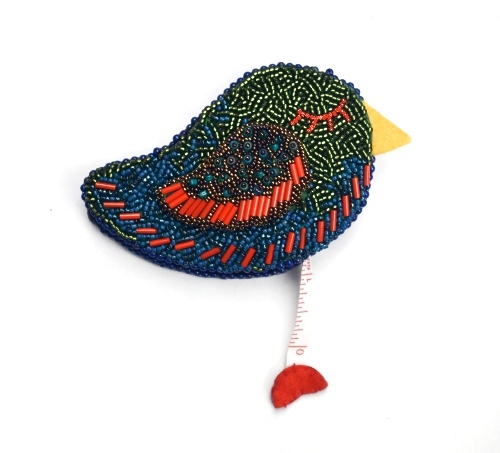 Learn the basics of bead embroidery and how to create a 3-dimensional piece perfect for hiding a measuring tape inside! This class is suitable for anyone new to bead embroidery or anyone with some experience who wants to explore new ideas with the techniques. Please note the project for this popular class is available as a pattern here but the class covers all the techniques in depth.